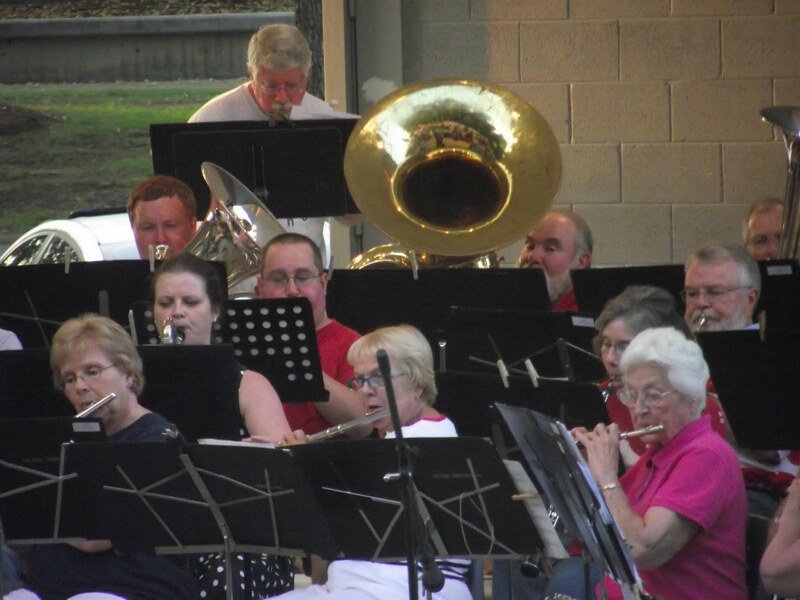 The Oak Ridge Community Band always does a fabulous job. This year, July 4, 2011 only raised the bar even higher. Attendees enjoyed clapping along to old folk favorites from Oklahoma, tapping their toes to 'America' from the West Side Story. Veterans were recognized for their service to the U.S. The National Anthem was sung and God Bless America was a touching moment. The crowd at A.K. Bissell Park was mannerly and in a good mood. The ORPD was on scene but no one seemed to get out of hand. They did a terrific job of controlling the traffic flow after the event. As a precaution, fire trucks were on scene in case they were needed during the fireworks show. That too was well done. 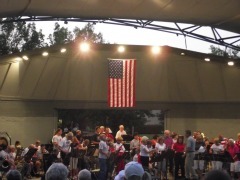 A video clip and photos of the Oak Ridge fireworks are online. It was a good evening of family entertainment. 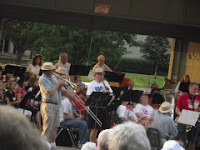 Enjoy the photos from the Oak Ridge Community Band performance on July 4, 2011.